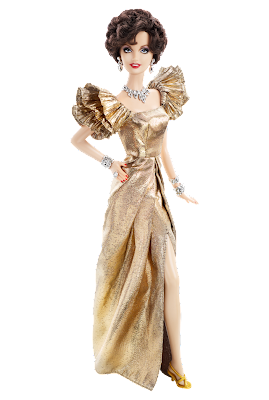 Celebrity Fashion Site: DYNASTY BARBIES! I DY! Plus: IMPORTANT Barbie News! DYNASTY BARBIES! I DY! Plus: IMPORTANT Barbie News! PEOPLE! GET READY! There are DYNASTY BARBIES in this world! An Alexis Barbie and a Krystle Barbie to herald the 30th anniversary of Dynasty. If you've been reading this blog for more than a minute plus, you may possibly know that '80s power dressing is my FAVORITE THING IN THE WORLD (besides cats). Metallic jacquards, all sequins all the time! It was a time when lamé wasn't lame, everyone overdressed and overaccessorized for EVERYTHING, makeup was generally WAY too dark, shoulder pads weren't met with the abhorrence one associates with a used condom. Ah, those were better, tackier, happier days. Check out the new Dynasty Barbies. I think I may need to buy Alexis because I was always a bigger fan of her, and because the detailing on her dress is more majah. They're $34.95 each at BarbieCollector.com. 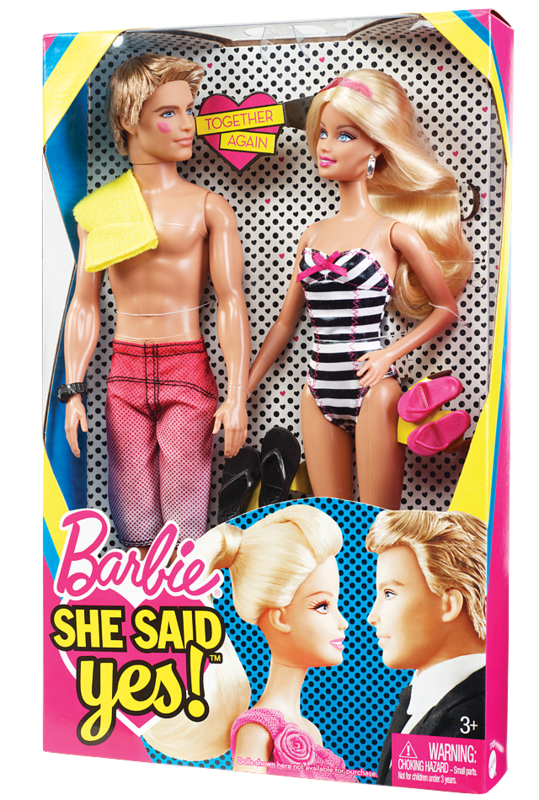 I like how they're dressed to go on a beach holiday and I'm into the fact that Barbie's wearing a throwback take on her original maillot. 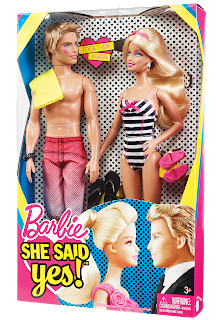 I do have to say though, that Ken's ombre trunks, his slimmed-down waist, and his very blond hair have me wondering if he's more a friend of Judy than of Barbie. Oh wells! To the happy couple!